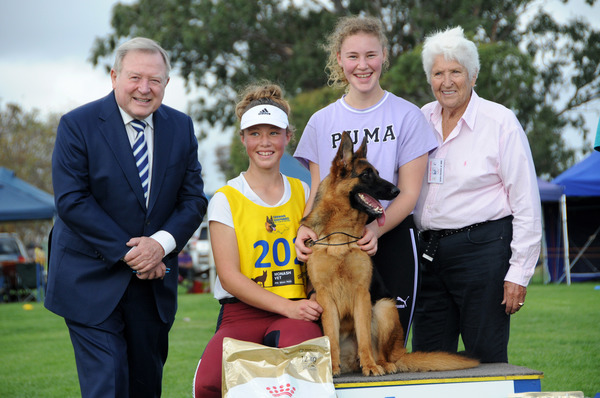 Peter Hitchener and Dawn Fraser with Trinity and Stephanie Jones and Porsche who won her class. 192294_10. 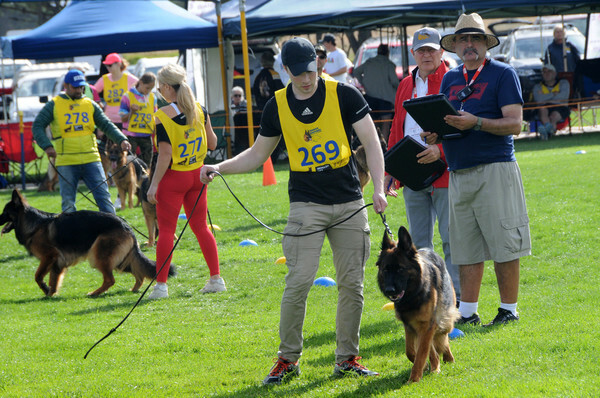 With tails wagging and tongues lolling, nearly 600 German Shepherds descended on the Dogs Victoria State Dog Centre – KCC Park in Skye for the 47th National German Shepherd Dog Show & Trial over the weekend. From Friday to Sunday, the good boys and girls were put through their paces to compete for top honours in conformation (dog showing), obedience and rally obedience trials. Exhibitors came from all over Australia, with 471 show entries, 55 obedience and 44 rally obedience entries. 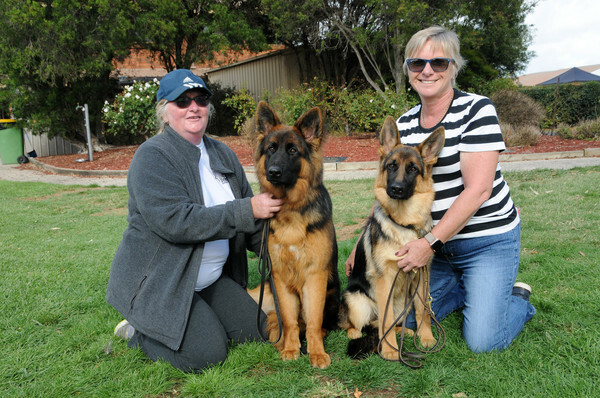 And the dogs were in good company, with Dawn Fraser AC, MBE, patron of the German Shepherd Dog Council of Australia (GSDCA), and newsreader Peter Hitchener in attendance. A special GSDCA Canine Service Award was presented to Victoria Police Dog Ike and his handler for his outstanding achievements. Mr Wayne Fleming, president of Dogs Victoria, said the organisation was proud to host the event. 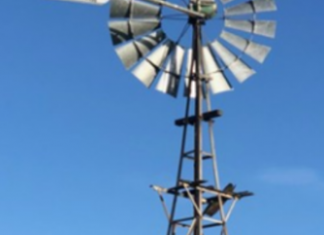 “Dogs Victoria hold events most weekends in regional centres and at the State Dog Centre in Skye or the Bulla Exhibition Centre and we welcome the public to attend, entry is free and it’s a great day out for the entire family,” he said.